CK Contracts are one of the leading providers of civil engineering services in Scotland, working in the construction, rail, renewable, utility & public sectors. They specialise in providing world class services in general civil and building works, provision of railway safety critical personnel and civil upgrades and remedial works on onshore windfarms. CK Contracts approached Ceiba to provide a design and quote for a solar PV system for their new headquarters in Ayrshire. The aim for CK Contracts was to be as self-sufficient as possible, keep energy overheads as low as possible and to enhance their credibility further as a environmentally and socially responsible business. The mandate for Ceiba was to maximise the available roof space and have a high quality, reliable solar system that was going to work hassle-free for the long- term. Given that mandate, Ceiba Renewables specified Sunpower E20 panels and demonstrated the benefits of Sunpower’s Maxeon technology to the Managing Director, Andy King. See “Demand Better” page for further details on the benefits of using Sunpower. 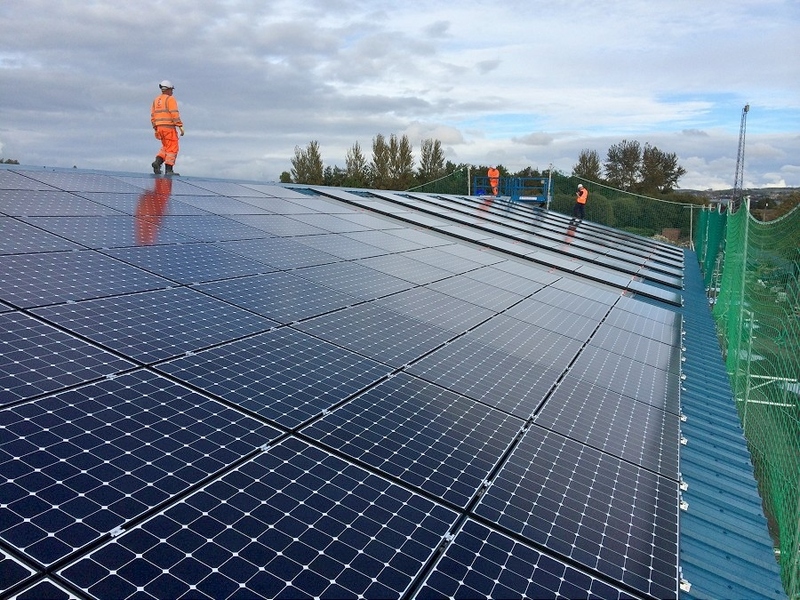 In order to minimise costs, CK Contracts provided labour for the roofing works under supervision of Ceiba Renewables and the solar panels were installed within 2 days. The remainder of the installation was completed once the building was wind & watertight with the new three-phase supply brought in by Scottish Power. The system was connected online to the SolarEdge monitoring portal once CK Contracts moved in and just recently a SolarEdge meter has been installed to monitor the electricity consumption. CK Contracts now have a cutting-edge solar PV system that is going to provide significant savings for decades to come. 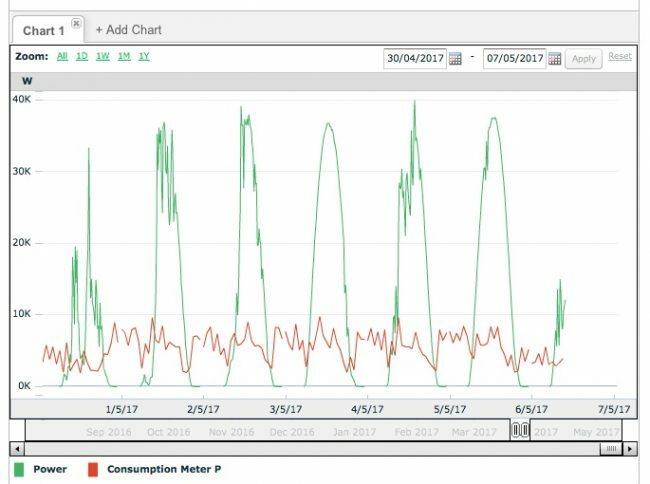 Having recently started monitoring consumption we can see that the PV system is covering the building’s day time consumption and the next phase is to look at battery storage to maximise savings further.